Its Endy again and I'm back with this comic called Faith that I LOVED!! This book is great for those who are overweight it shows you just because your fat you don't have to let the world get you down! 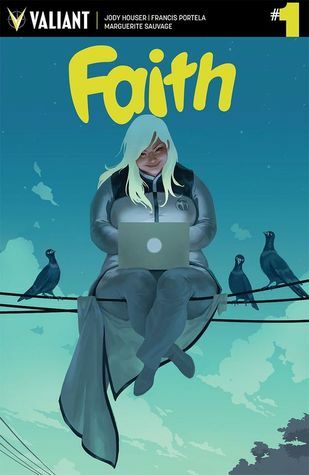 I love that Faith is a superhero and is not the normal kind of person. She isn't skinny and she is really nerdy! I loved the story and the artwork and this one ends on a cliffhanger so I can't wait to get the next one! This one is for Nerd, Overweight people who need a pick me up, and superhero comic lovers!